Ed Note: This ran in last night’s print edition. While last year the air raid sirens from the Hawks’ broadcast booth began before Halloween proclaiming Duncan Keith to be the prohibitive Norris Trophy favorite as the league’s best defenseman, most notably in the form of the insufferable Ed Olczyk, this year things have been far quieter in that department. And that’s quite a shame, because while it’s taking nothing away from Keith’s previous Norris campaigns last year and in 2010, by many statistical measures he’s having far and away his best season as a professional. And that he’s doing it at 31 while already being as decorated a player as there is in the league with two Cups, two Gold Medals, and two Norrises to his name. As has been discussed at length in these very pages, Duncan Keith piled up the points last year from the blueline on top of a mountain of secondary assists. Over a full season at even strength last year, Keith piled up 20 secondary assists and only 12 primaries, along with 10 secondary assists on the power play out of 14 total. Again, this is not taking away anything from what he accomplished last season, but secondary assists are far more a product of luck than skill, particularly for the type of defenseman Keith is. Keith is on pace to put up 46 total points this season, a precipitous drop from last year’s 61, and certainly well off the pace of Calgary’s Mark Giordano, who is on pace for 80+ at present. But it’s not raw scoring output where Keith has over time proved to be most useful for the Hawks. Since emerging as one of the league’s elite defenseman in the 2008-2009 season, what Keith gives the Hawks is a foundation of puck possession on which they can build the entire success of the team. 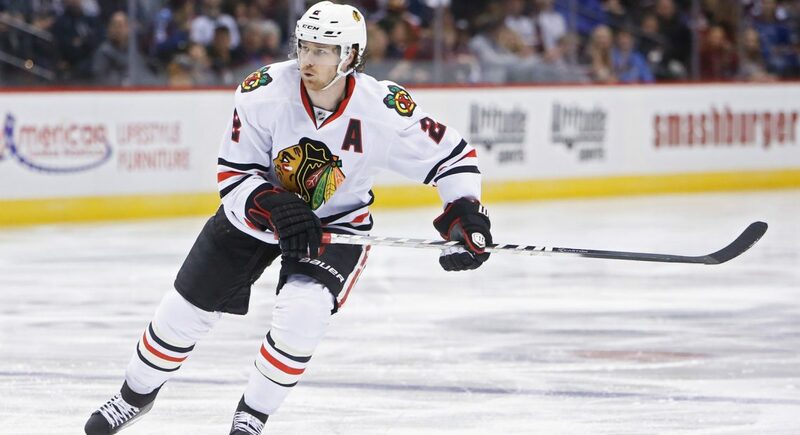 It’s been hammered many times over the years, but as Duncan Keith goes so go the Hawks, and for good reason. Among all skaters who have played over 500 even strength minutes to this point in the season (there are 120), Keith is at the top of the list of all of them with a 58.3% share of all shot attempts when on the ice, and has been on the ice for the widest margin of attempts of any player by a mile. Keith’s cumulative Corsi to this point is a +210, and the next closest player in the league is 44 shots behind in the dearly departed Nick Leddy. This is also a career best for Keith, with his next closest campaign being 2009-2010 at 57.4%. 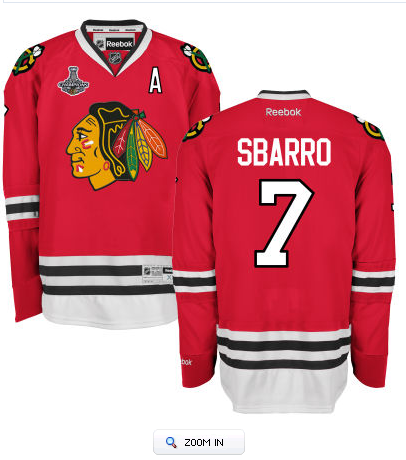 Obviously a certain degree of this upswing can be credited to Joel Quenneville deploying the Hawks’ second pairing of Niklas Hjalmarsson and Johnny Oduya against the top lines of the league, allowing Keith to feast off (slightly) lesser competition, but the fact remains that the opportunity he is being given he’s been maximizing to a degree greater than anyone else in the league who plays as many minutes as Keith does. But the statistics really only tell part of the story. While there are some very raw and unofficial data out there tracking this, the evidence of Keith’s side of the ice being completely avoided is far more anecdotal. Similar to how a quarterback simply will not throw at a receiver who is being blanketed by an elite defensive back, teams have been completely avoiding attacking Duncan Keith’s side of the ice. Granted, there are far fewer elite right wings than left coming down on Keith’s side, but it’s rare in a game where Keith is in position and the opposition even bothers to gain entry into the Hawks’ zone. Cutting off a full half of the ice forces teams into the middle of the ice where there are always more sticks and traffic to begin with, and the Hawks having back-pressuring forwards like Marian Hossa, Jonathan Toews, Brandon Saad, Marcus Kruger, and Ben Smith there waiting for them creates problems in the neutral zone and Hawk chances going back the other way. If a player is so bold as to try to carry the puck in on Keith, it’s knifed away to a forward (which is how the secondary assists were piled up last year). And rarer still are the times where an forward will try to dump the puck into Keith’s corner, because his speed enables him to retrieve the puck and get it out of harm’s way as fast as anyone in the game. That Keith is accomplishing this at age 31 with the number of games the Hawks have played over the last six seasons is an accomplishment in and of itself. While the career arc for defensemen tends to be a bit more protracted than that of forwards, there’s little doubt of the number of miles Keith has put on the odometer with the number of minutes he plays for a team that habitually plays late into the spring and summer; to say nothing at all of the needless exercise of twice being an Olympian and how much he was relied upon there as well. Keith’s commitment to fitness has always been well-publicized, but that it is now extending his prime into his 10th season and beyond is where the benefits are truly being reaped. The hockey press will find its newest, flashiest defenseman to proclaim the greatest in a post Nicklas Lidstrom era in the NHL on a consistent basis. Whether it’s Drew Doughty and PK Subban having to run around all three zones and do everything for their respective teams with flair and flash, Shea Weber, Ryan Suter, and Zdeno Chara piling up inhuman minutes, or the feel good story of Mark Giordano, the Norris Trophy will always be one of the most hotly contested given the vagueness of how the award defines “best”. And all of these players are amazing in their own rights. But the platform that Duncan Keith gives the Hawks to play some of the fastest paced hockey in the league cannot be overlooked when the votes are tallied, even if those awards ultimately don’t mean much. Based on the culture that the Hawks have established, and what the players themselves state publicly, the only hardware that matters is The Chalice. And as long as Duncan Keith is able to maintain this caliber of play, the Blackhawks will always be in that conversation as well.